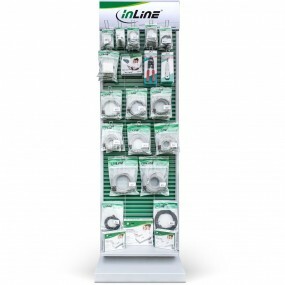 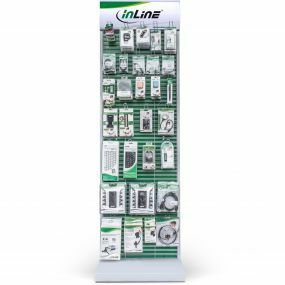 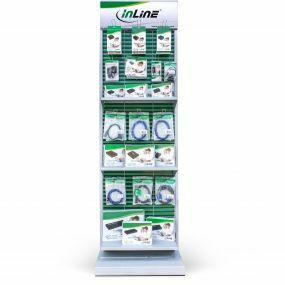 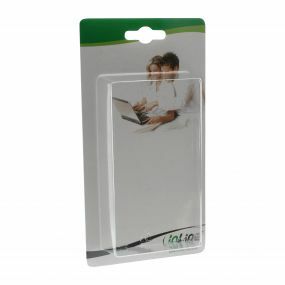 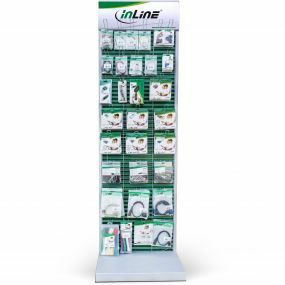 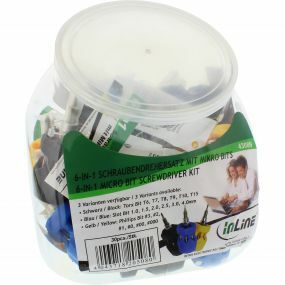 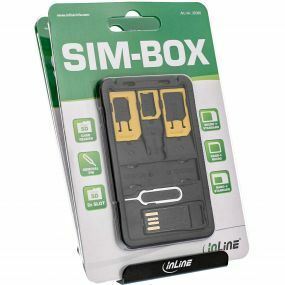 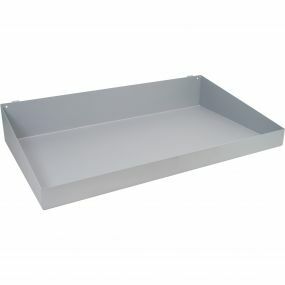 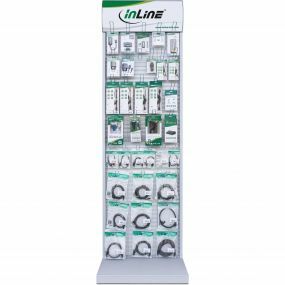 up and beyond cables – through attractive, streamlined merchandise presentation for specialist shops! 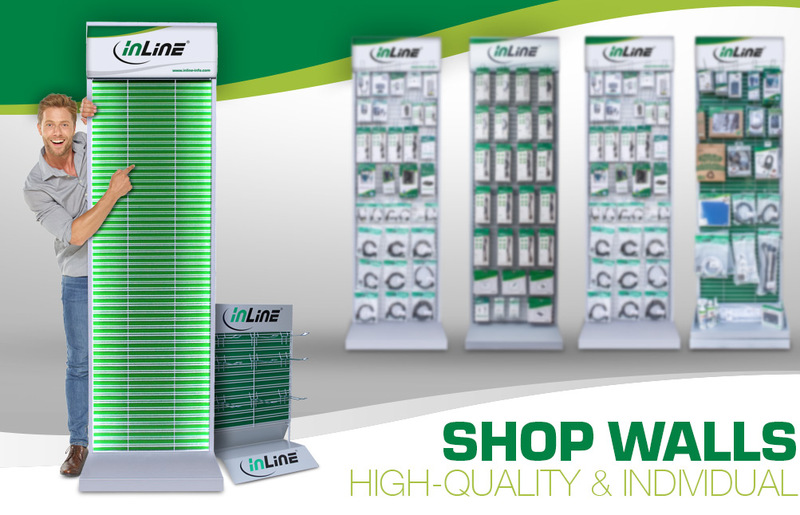 Be different from your competitors. 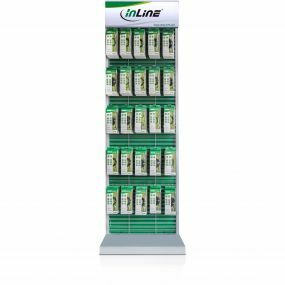 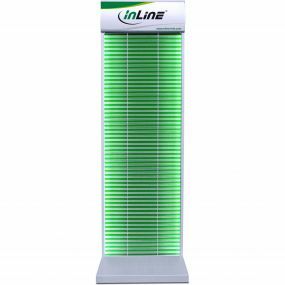 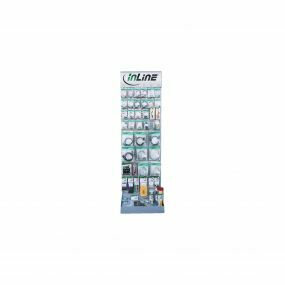 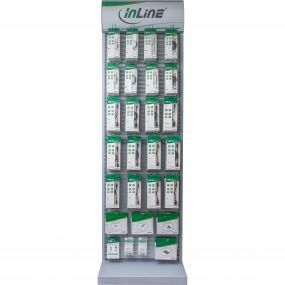 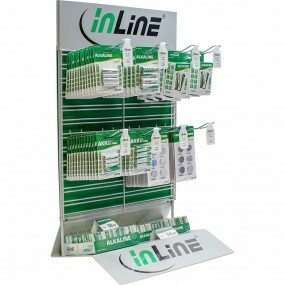 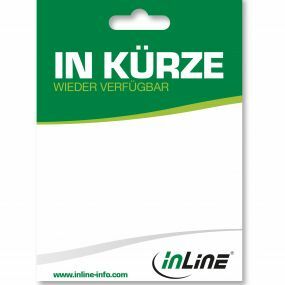 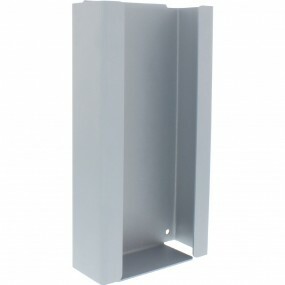 InLine® Shop Walls: our high-quality, individual solution for you shop premises. 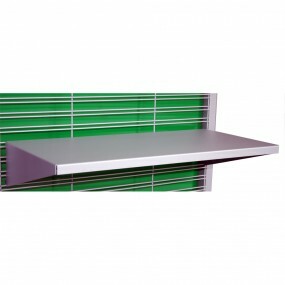 100% cash back for up to 4 walls. 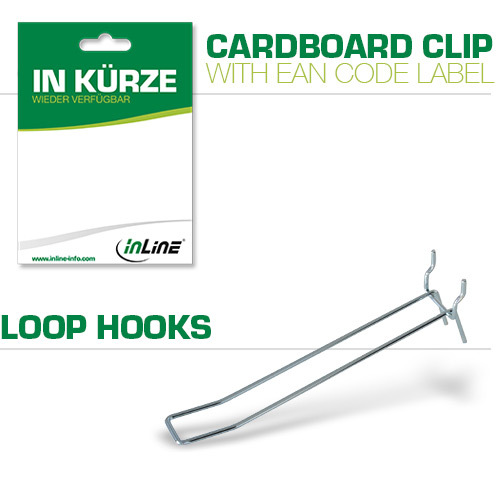 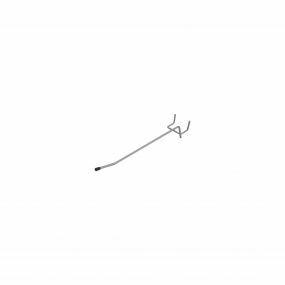 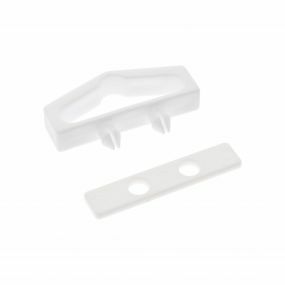 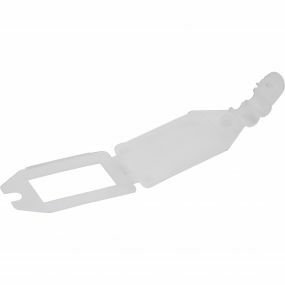 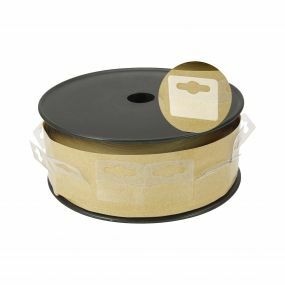 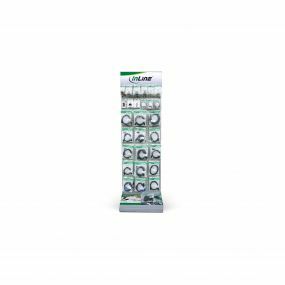 Reliable brand quality: a multi-faceted, up-to-date and readily available product range in attractive packaging with EAN code and Euro-standard holes. 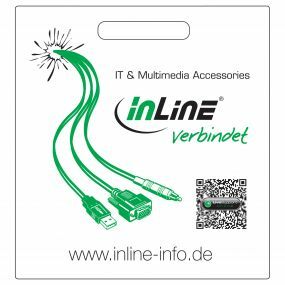 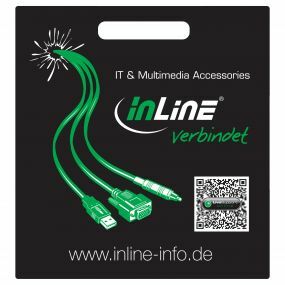 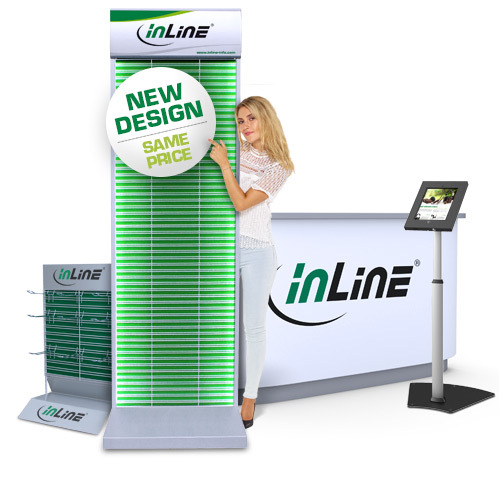 Good quality for a fair price – achieve higher profit margins and customer satisfaction with IT & Multimedia accessories by InLine®! 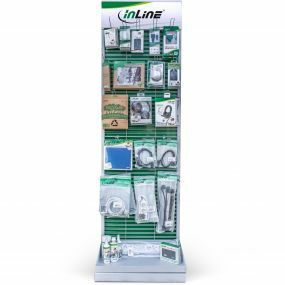 Fully stocked shop walls from 399.- Euros on up. 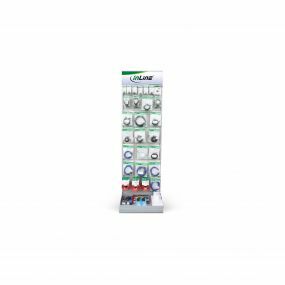 Select one of 8 themed designs or simply choose our top selling products. 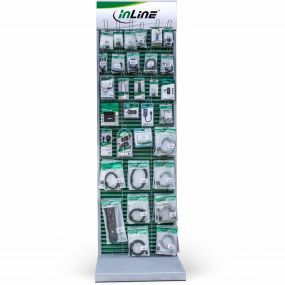 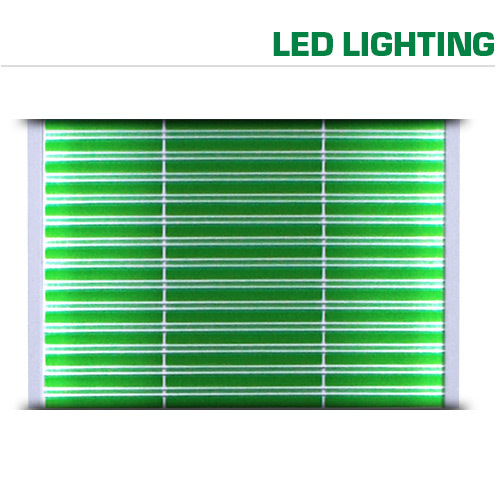 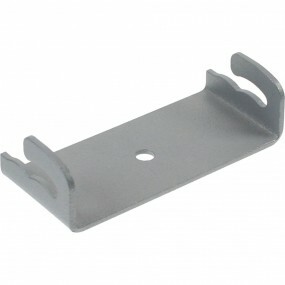 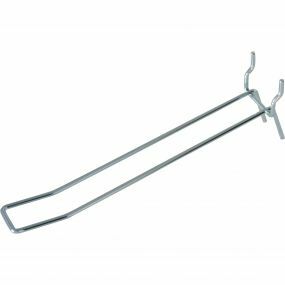 We support you when changing product ranges. 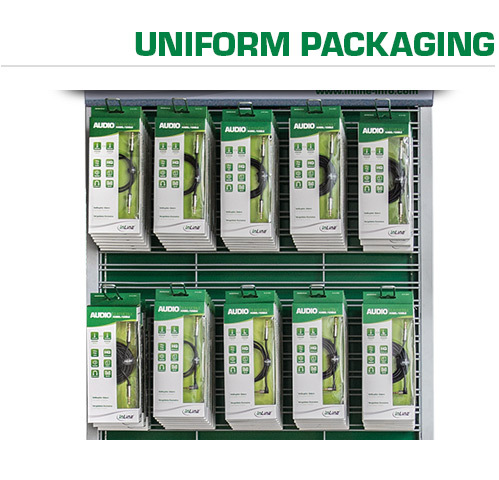 Please contact your Shop Wall partner Mr. Gabel!